We need every family to do their part to help us keep our spiritual community vibrant. 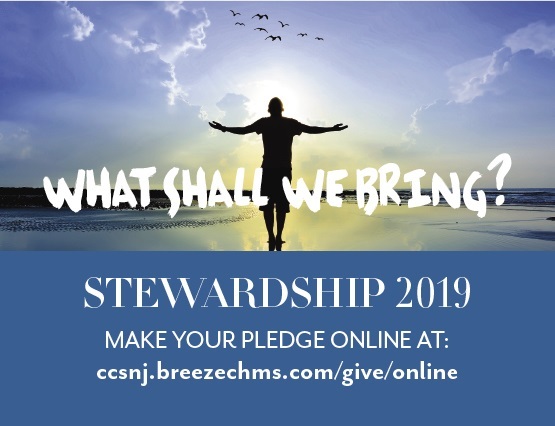 You can mail your pledge card, drop it in the plate, send an email to mypledge@ccsnj.org or online at https://ccsnj.breezechms.com/give/online. For the next several weeks, you can sign up to be a sustaining member during coffee hour. Thank you for what you do to make Christ Church vibrant.